Victor C. M. Leung received the B.A.Sc. (Hons.) degree in electrical engineering from the University of British Columbia (U.B.C.) in 1977, and was awarded the APEBC Gold Medal as the head of the graduating class in the Faculty of Applied Science. He attended graduate school at U.B.C. on a Natural Sciences and Engineering Research Council Postgraduate Scholarship and completed the Ph.D. degree in electrical engineering in 1981. From 1981 to 1987, Dr. Leung was a Senior Member of Technical Staff at MPR Teltech Ltd., specializing in the planning, design and analysis of satellite communication systems. In 1988, he was a Lecturer in the Department of Electronics at the Chinese University of Hong Kong. He returned to U.B.C. as a faculty member in 1989, where he is currently a Professor and holder of the TELUS Mobility Research Chair in Advanced Telecommunications Engineering in the Department of Electrical and Computer Engineering. He is a member of the Institute for Computing, Information and Cognitive Systems at U.B.C. He also holds adjunct/guest appointments at Jilin University, Beijing Jiaotong University, South China University of Technology, the Hong Kong Polytechnic University and Beijing University of Posts and Telecommunications. Dr. Leung has co-authored more than 500 technical papers in international journals and conference proceedings, and several of these papers had been selected for best paper awards. His research interests are in the areas of architectural and protocol design, management algorithms and performance analysis for computer and telecommunication networks, with a current focus on wireless networks and mobile systems. Dr. Leung is a registered professional engineer in the Province of British Columbia, Canada. He is a Fellow of IEEE, a Fellow of the Engineering Institute of Canada, and a Fellow of the Canadian Academy of Engineering. He is a Distinguished Lecturer of the IEEE Communications Society. He has served on the editorial boards of the IEEE Journal on Selected Areas in Communications – Wireless Communications Series, the IEEE Transactions on Wireless Communications and the IEEE Transactions on Vehicular Technology, and is serving on the editorial boards of the IEEE Transactions on Computers, the Journal of Communications and Networks, Computer Communications, as well as several other journals. He has guest-edited several journal special issues, and served on the technical program committee of numerous international conferences. 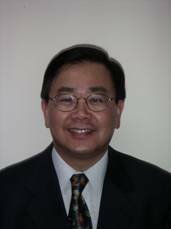 He is a General Co-chair of CSA 2011, Chinacom 2011, and MobiWorld and GCN Workshops at IEEE Infocom 2011. He chaired the TPC of the wireless networking and cognitive radio track in IEEE VTC-fall 2008. He was the General Chair of AdhocNets 2010, WC 2010, QShine 2007, and Symposium Chair for Next Generation Mobile Networks in IWCMC 2006-2008. He was a General Co-chair of BodyNets 2010, CWCN Workshop at Infocom 2010, ASIT Workshop at IEEE Globecom 2010, MobiWorld Workshop at IEEE CCNC 2010, IEEE EUC 2009 and ACM MSWiM 2006, and a TPC Vice-chair of IEEE WCNC 2005. Abstract: A common feature of contemporary wireless and wireline networks is that they provide access to or operate over IP-based networks. It is commonly agreed that next generation networks will consist of a conglomerate of access network technologies integrated by broadband IP-based core networks. Telecommunication service providers are taking advantage of the capabilities of next generation networks to offer a wide range of services to subscribers over a converged IP network regardless of the access technology. Research and development efforts over the last few years have been focused on how to integrate and manage heterogeneous wireless/wireline access networks for a good service experience by subscribers. The presentation will review features and characteristics of converged access networks, describe the network and service architectures enabling access network convergence on the one hand and service convergence on the other, and discuss some of the technical issues that need to be addressed to provide a good service experience to subscribers. Novel solutions for selection of the best access network before connection establishment, and maintaining a connection across different access networks by vertical handoffs will be presented. Future research directions will be discussed. Abstract: Recent advances in wireless communication technologies are making it possible for automobiles to be integrated into the global network. Intelligent Transportation Systems with vehicles in the loop are expected to significantly improve road safety, reduce traffic congestion and cut greenhouse gas emissions. This is made possible in the USA by Dedicated Short Range Communications (DSRC), which employs the IEEE 802.11p standard over the 75MHz of spectrum in the 5.9 GHz band allocated by the FCC for vehicle-to-vehicle (V2V) and vehicle-to-infrastructure (V2I) communications. DSRC is expected to revolutionize road transportation by making possible many real-time safety applications. However, global deployment of DSRC is not expected to materialize in the near term due to regulatory and financial challenges. In the meantime, vehicles and their passengers are increasingly equipped with different forms of wireless networking capabilities, e.g., cellular, WiFi and WiMAX. Thus there is also a growing interest in supporting applications like infotainment, travel advisory, route planning, etc., using heterogeneous wireless networks. In this presentation, I shall describe several applications that leverage the wireless communications to put vehicles in the loop. Different applicants impose different requirements on the wireless network for data routing, transfer latency, etc. I shall review the technical challenges that need to be overcome to meet some of these requirements, and describe solutions developed in our recent research to meet these challenges. I shall conclude the presentation by discussing some future research directions.